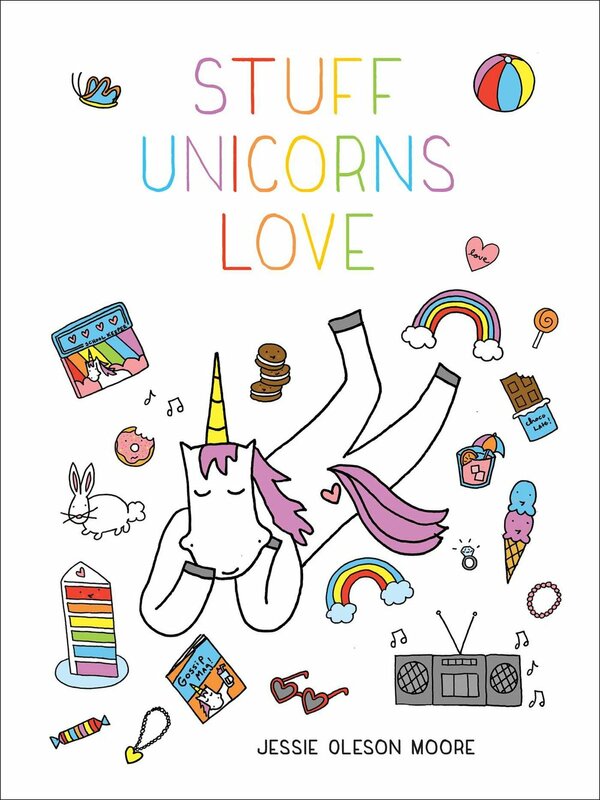 You know what kind of days I love best? The kind of days when a box of cinnamon rolls arrives at your doorstep, all ready for you to heat and serve. Of course, it's slightly better when they come with icing to put on top! Even better if it's in the afternoon when you receive this parcel, because the company they're from is called Cinnamon Rolls for Dinner! Wait, you've never had one of those days? Well, I'm really sorry to hear that. Because as someone who has, I can attest to the awesomeness of this experience. But please, don't despair! Because it's possible that you, too, could have this moment in your life. You see, I received this box of samples from a couple who is looking to raise money on Kickstarter to make their mail order cinnamon roll business a reality--if you pitch in to the effort, they could really make it! Since I know just a cool idea isn't enough to make you invest, I will tell you a little bit more about them, starting with the cinnamon rolls. Please, sum up your business in 6 words or less. Homemade goodness like the old days! Why cinnamon rolls? 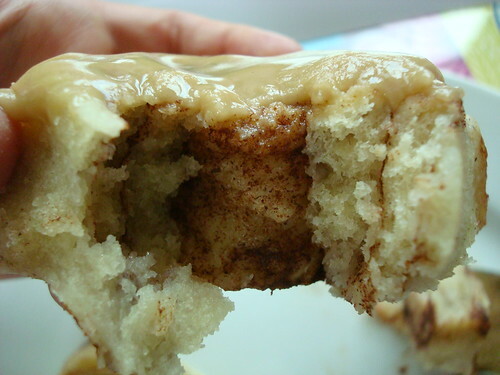 It’s so hard to find an AMAZING cinnamon roll. I start craving them and I go to a local eating establishment and you see these beautiful cinnamon rolls and you get excited about how pretty it looks so you buy it because you know it is going to taste amazing. You taste it and it’s the most depressing thing because you had high hopes for it. These cinnamon rolls do NOT disappoint. They look as wonderful as they taste..... 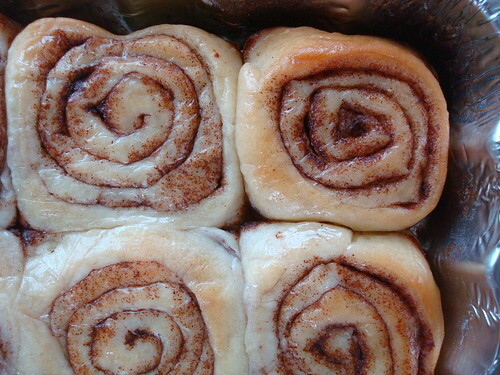 It seems like no one makes cinnamon rolls like they used to. It’s all manufactured in some big plant! I want old fashion cinnamon rolls made with love and with real hands, not machines!! 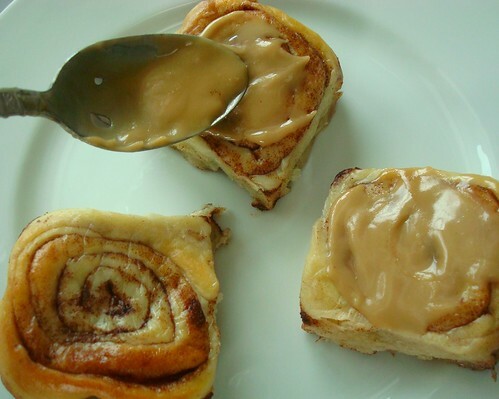 If I eat cinnamon rolls for dinner, what do you suggest for dessert? I have the longest list of amazing things you could have for dessert! But, if I had to give you ONE item for dessert - it would be the citrus grove cookies! What other sweets are some of your specialties? Oh goodness - there isn’t much I don’t make. There is a long list, but some include Rock-My-Road Texas Sheet Cake that is amazing, lemonade brownies, Oatmeal Fudge Fantasy Bars, Knock-Ya-Dead Strawberry Shortbread, whoopie pies, just to name a few! What's the best thing to happen to you in the past 48 hours? Got an opportunity to help some very dear friends through a rough patch. What quality do you most value in others? HONESTY! Please don’t ever tell me what you think I want to hear - tell me what I need to hear! and ALWAYS tell the truth - ALWAYS!! If you could choose three people (alive or dead) in the world to taste your baked goods, who would they be? 3. Ree Drummond - aka Pioneer Woman - she has given me inspiration that it doesn’t have to be fancy to taste good! 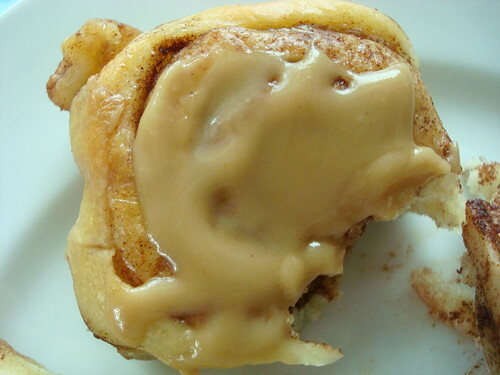 What's your favorite word to describe your cinnamon rolls? So good it makes you wanna slap your mama! I know it’s more than one word, but when it’s REALLY good, I always say this! 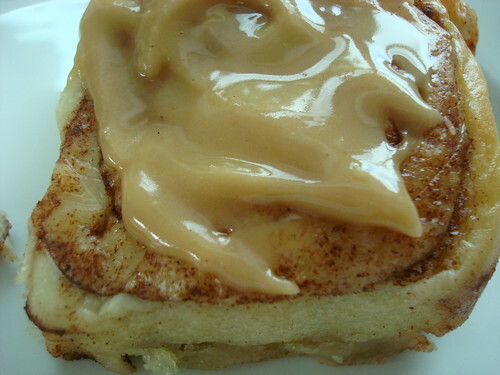 If I were to ask a cinnamon roll how he feels about sticky buns, what would he say? He would laugh and say, what are you scared to be filled with ooey gooey goodness.... shame shame shame! You've met your kickstarter goal. What's next? Hit the stretch goals, deliver successfully on all the Kickstarter rewards, and then expand into a combination of catered events and e-commerce shipment of baked goodies. Our hope is to parlay all of this into a food truck later this year in the Dallas / Fort Worth metroplex. But most of all, we are looking to continue to build our brand and grow a community of supporters and sweet tooth enthusiasts across North America! I know I love these high rollers (get it? Get it? Like, rolling dough?) even more after reading these responses. If you want more, please visit their website, ilovesweetmamas.com, their kickstarter page, and find them on Twitter!